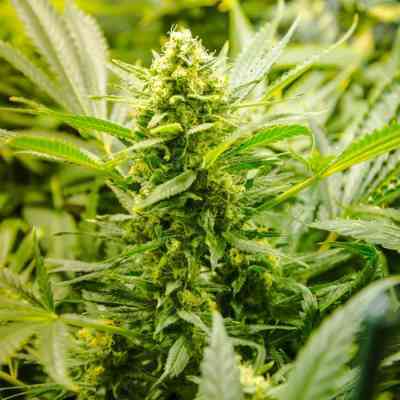 The Hindiana marijuana seeds genetics is an Original 100% Autoflowering Ffeminised giant strain. Result of crossbreeding and selections of lines indica dominant, of our Big Low cannabis seeds with Hindu Kush weed seeds, a pure indica, evolving with the epigenetic theory. A project to stabilize the indica line of the Big Low and at the same time to obtain an Hindu Kush of the highest quality, that in Automatic version can flourish also outdoors above the 42 ° N. With good conditions of the environment , is like a normal strain, but ready in less than two months. Hindiana is stable, very resinous, with strong odor, powerful and between the most productive in a short period of time.It`s medical weed. Hindiana appears mainly with Indica phenotypes with a height of 1,20m. With 18-20 hours of light per day plants will begin to flower in 21 days approximately and will be ready for harvest in 55 days after germination, taking a few more days if grown outdoors depending on the number of hours of available daylight. Multiple harvests per season are possible. 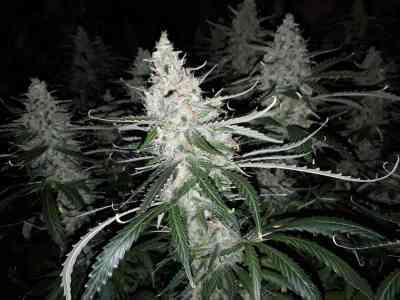 Strong structure, branched with compact buds, copious resin and with a strong characteristic smell. Hindiana has been presented the first time during the GROWMED ’12. Type : Big Low x Hindu Kush Original. Height : 11,50m Outdoors ; 1,20m Indoors. Outdoors, 60 days from seed, more than 2.1/3.5 oz. x Plant (60/100 gr) .